Gabriel Rucker of Le Pigeon and Little Bird Bistro in Portland, Ore. Photo credit: David Reamer. 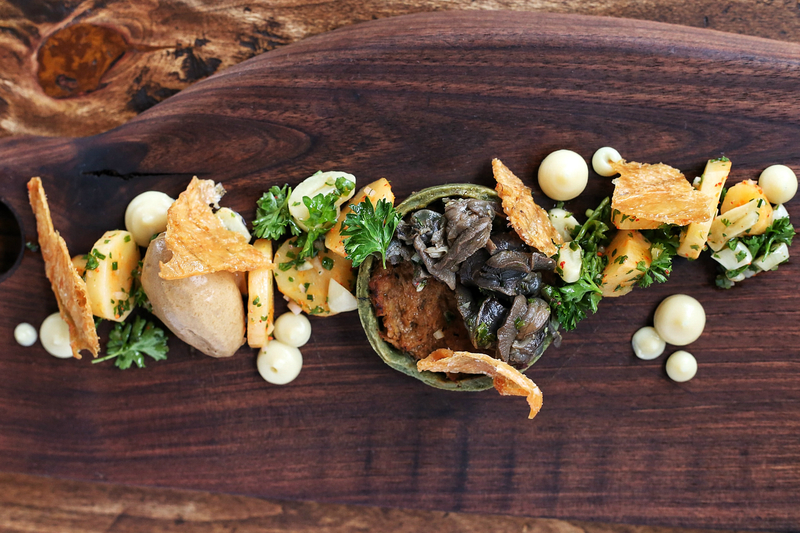 What do you love best about Portland’s food scene? The fact that I don’t feel like as chefs we’re all competing against each other, everyone has their niche and we all respect what each other does. 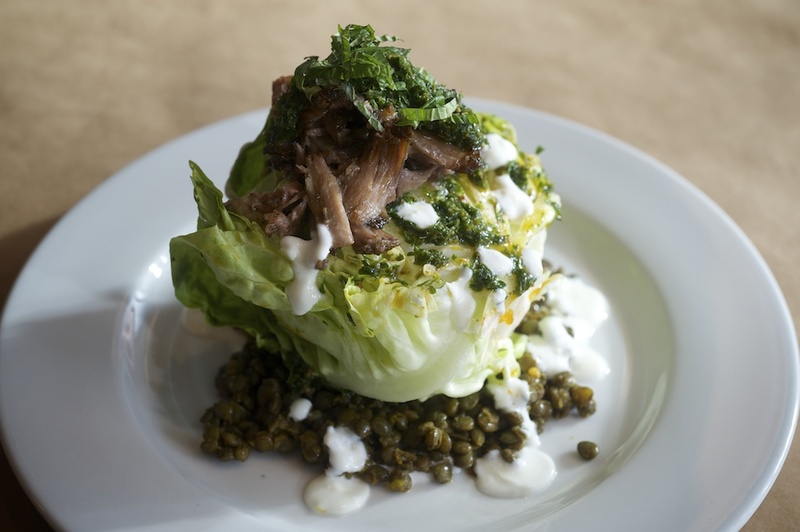 Butter lettuce with warm lentils, roasted lamb neck, and yogurt from Little Bird Bistro. Photo credit: David Reamer. Chicken and escargot pie from Le Pigeon. Photo credit: Carly Diaz. About the Chef: Growing up in Napa, Gabriel Rucker’s earliest inspiration came from home cooking. His first food memory is of a cream of broccoli soup made by his grandma, whom he recalls telling him that “little boys shouldn’t be in the kitchen” and promptly kicking him out. Her words clearly held little weight, as Rucker went on to become one of Portland’s most celebrated chefs. He finished a year of culinary school before dropping out to take on his first cooking gig at a country club. At his subsequent job, he pushed himself harder, studying Thomas Keller’s The French Laundry Cookbook in his spare time to learn how to cook more intuitively. He eventually left northern California for Portland and was “really lucky” to find work at Paley’s Place; he refers to the French restaurant as “the cooking school I never finished.” By 25, Rucker already had years of valuable chef experience under his belt, and coupled with some luck, he opened his first restaurant, Le Pigeon. Le Pigeon built a reputation as a go-to destination for nose-to-tail cooking and innovative French cuisine. In 2010, sister restaurant Little Bird Bistro opened, and in 2013, Rucker published his first cookbook, Le Pigeon: Cooking at the Dirty Bird.